After two days of puffin hunting, I realized that it was fruitless to try to photograph them much before sundown, so early on day three I drove south to Skerwink Head, where a 5.3 kilometer loop trail takes you along coastal cliffs, through boreal forest and bog. Here I found flowering plant species that weren’t in the Bonavista area. 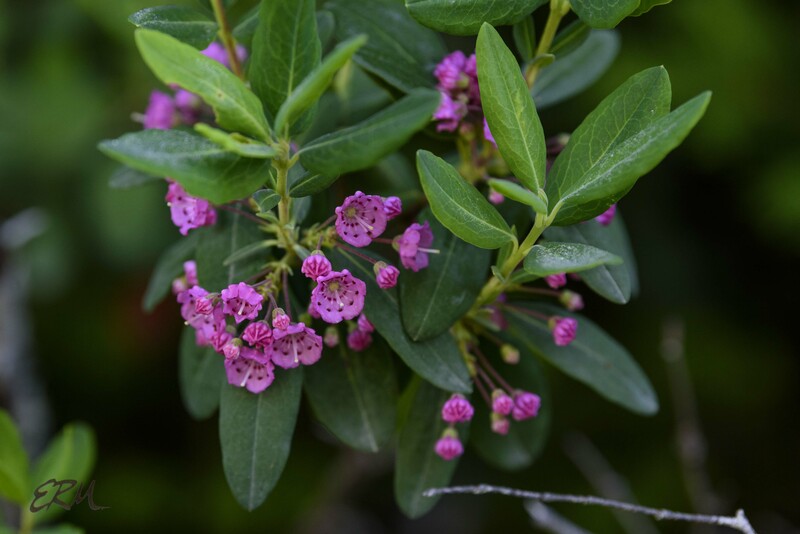 Sheep laurel (Kalmia angustifolia; Ericaceae) is a northern relative of mountain laurel (Kalmia latifolia); the former ranges from southern Virginia north into Newfoundland and Labrador, while the latter ranges from the Florida panhandle north through Maine. In Maryland sheep laurel is found mostly in the Coastal Plain. 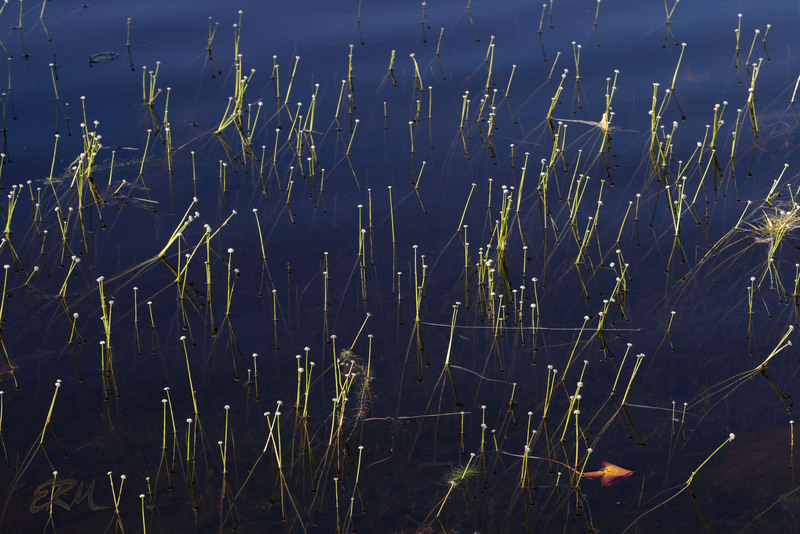 Seven-angle pipewort (Eriocaulon aquaticum; Eriocaulaceae) is an aquatic plant that ranges from South Carolina north into Newfoundland and Labrador. In Maryland it’s listed S1/endangered and is a plant of the Coastal Plain. 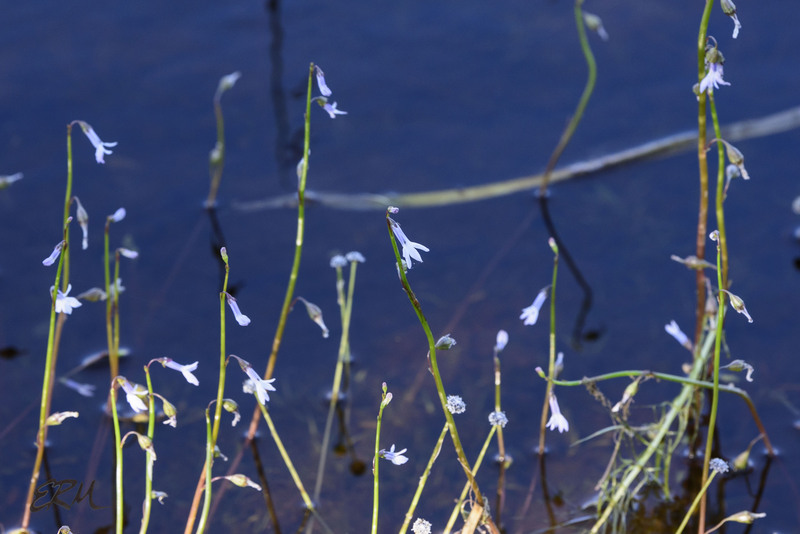 Another aquatic plant, Dortmann’s cardinalflower (Lobelia dortmanna; Campanulaceae) is native to northern North America and Europe. In the US it can be found as far south as New Jersey. I don’t believe it’s found in Maryland, but there are conflicting accounts. 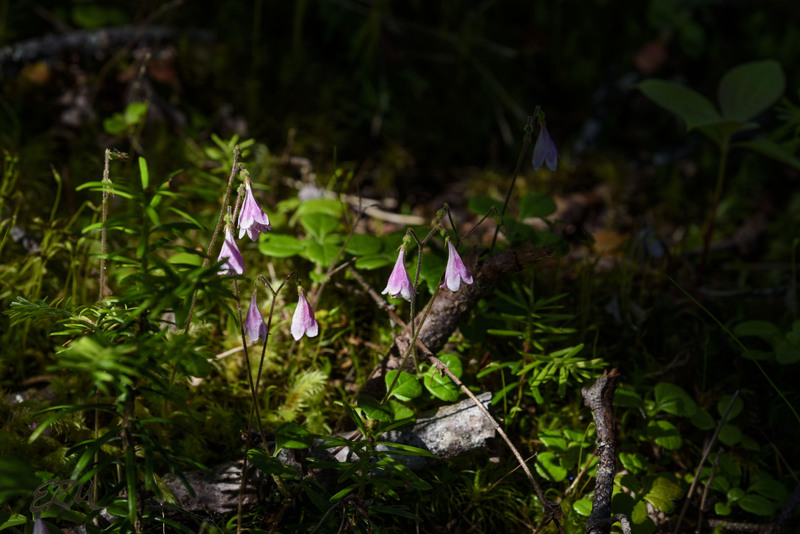 Twinflower (Linnaea borealis; Caprifoliaceae) is circumboreal, as the specific epithet suggests. In the US it’s found in New England, the upper Mid-West, and southwards in the Rocky Mountains. Some sources list in Maryland, but Maryland Biodiversity Project has no records; if it’s here, it would likely be in the far western part of the state, in the Allegheny Plateau. Dwarf cornel (also Swedish bunchberry, Lapland cornel, and many others; Cornus suecica; Cornaceae) is a circumpolar species. In North America the furthest south it gets is Nova Scotia or Quebec. A closely related species, also called bunchberry (C. canadensis), ranges much further south; in Maryland that species is found only in Garret County and is listed S1/highly state rare. In areas where both species are found, they can be distinguished by leaf venation. There’s something really special about glancing into the dim understory and spotting an orchid. 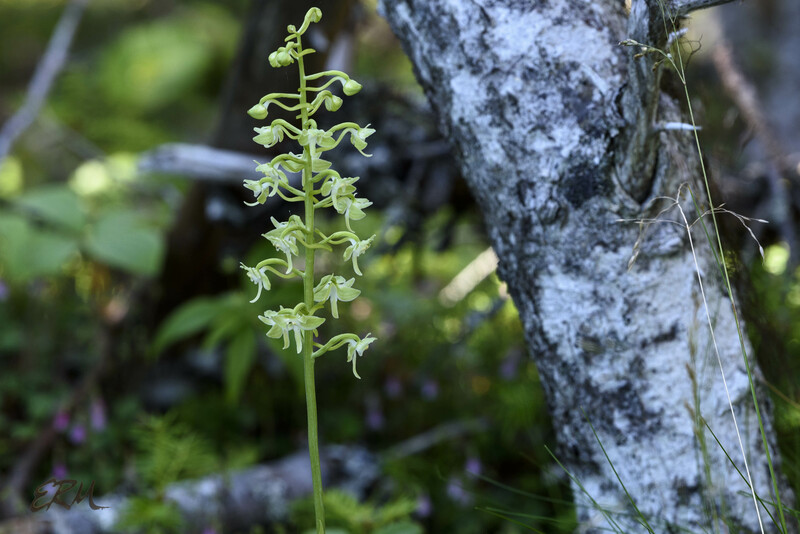 Dactylorhiza viridis (frog orchid, also placed in the genus Coeloglossum, and formerly in Platanthera) is wide-ranging in the Northern hemisphere. I saw it in Iceland and once in Maryland, where it’s listed S1/endangered. Moneses uniflora (Ericaceae) has many common names, including one-flower wintergreen, one-flower shinleaf, and simple delight. It’s found in much of the northern part of the northern hemisphere, including New England, the upper Mid-West, and the Rocky Mountains. 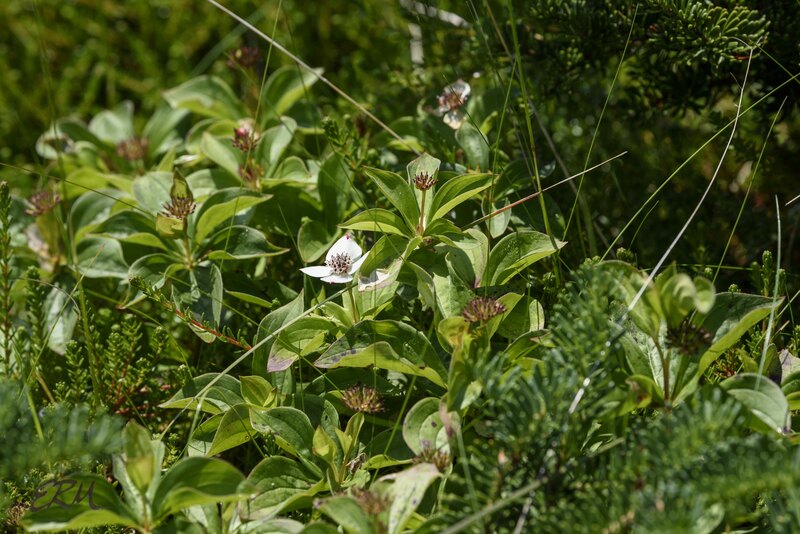 In Maryland look for the closely related striped wintergreen. 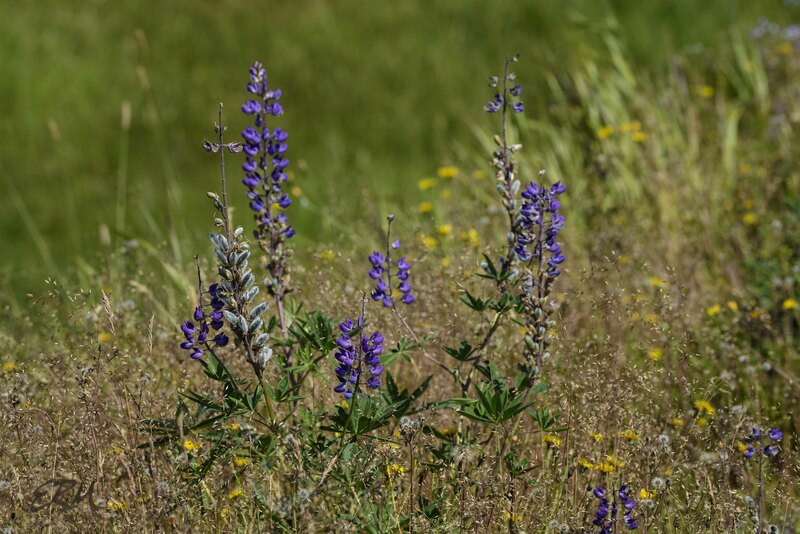 Garden lupine or bigleaf lupine (Lupinus polyphyllus; Fabaceae) ranges from Minnesota east and north into Newfoundland (but not Labrador), and also in the western US and Canada. 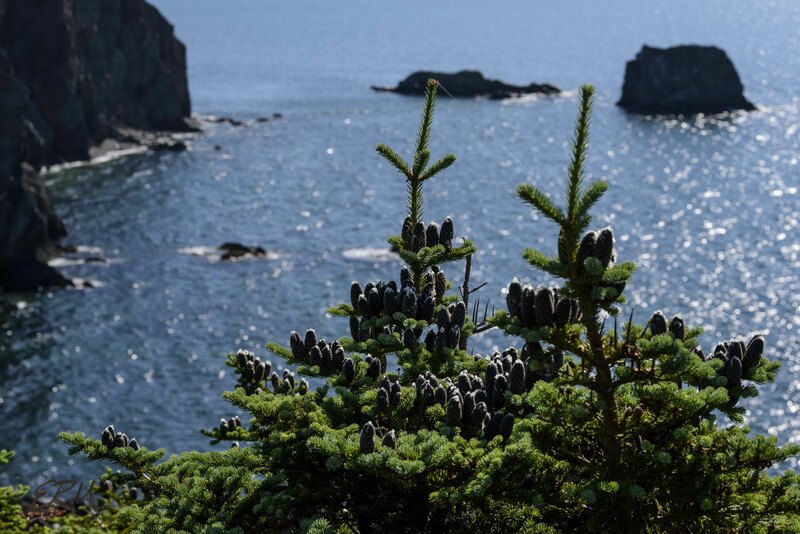 Various accounts claim it is native to this western region, but none say that it’s alien to the east, so I’m not sure what its “native’ status is in Newfoundland. BONAP and USDA PLANTS Database show it in Maryland, but Maryland Biodiversity Project has no records for it. 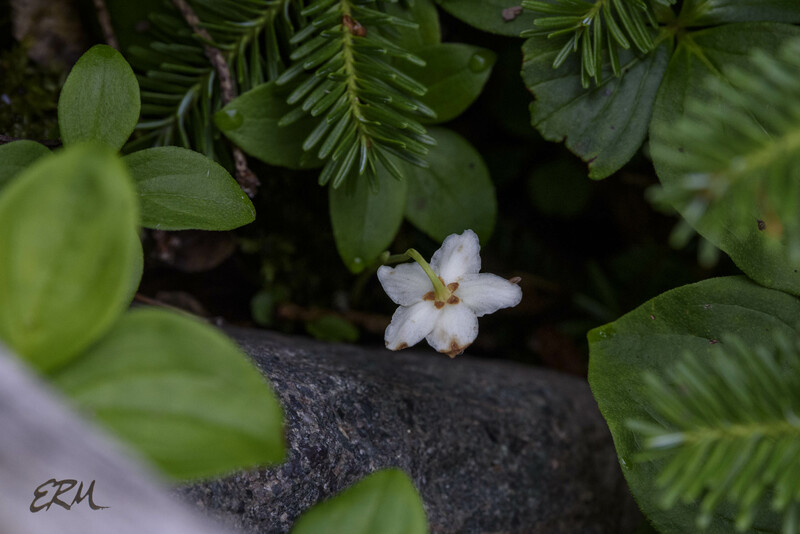 This entry was posted in Uncategorized and tagged Bonavista Peninsula, Ericaceae, lupines, Newfoundland, orchids, Pinaceae, Skerwink Trail by elizabeth. Bookmark the permalink. 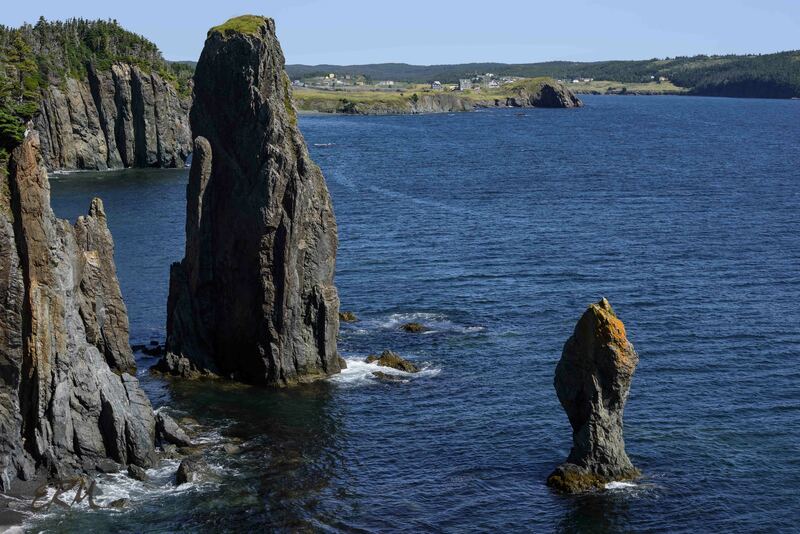 Newfoundland is one of the loveliest places I’ve seen. Your photos of your trip are wonderful! Thanks, both of you. I hope to go back there some day. It is beautiful!